If you thought Lil’ Bautista was cool, wait till you check out really little Bautista.The Blue Jays slugger is now available in Lego form! 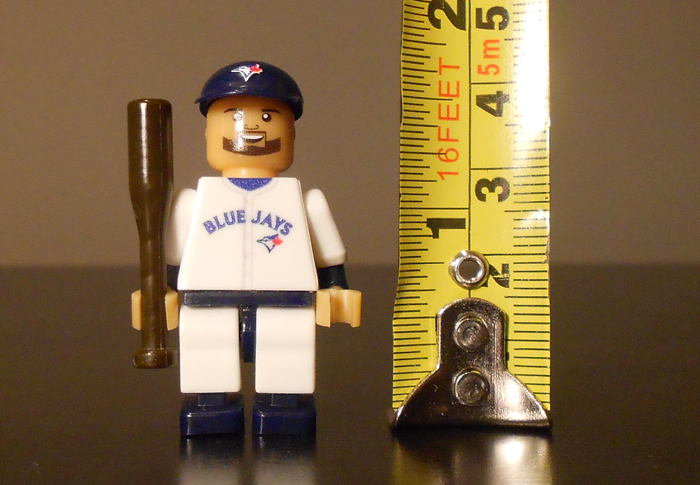 The folks at OYO Sports Toys were kind enough to send me one of their Jose Bautista Blue Jays mini figures, and I have to say I’m quite fascinated by the minuteness of the figure. They receive bonus points for including Bautista’s beard and the brand new uniforms on their figures. 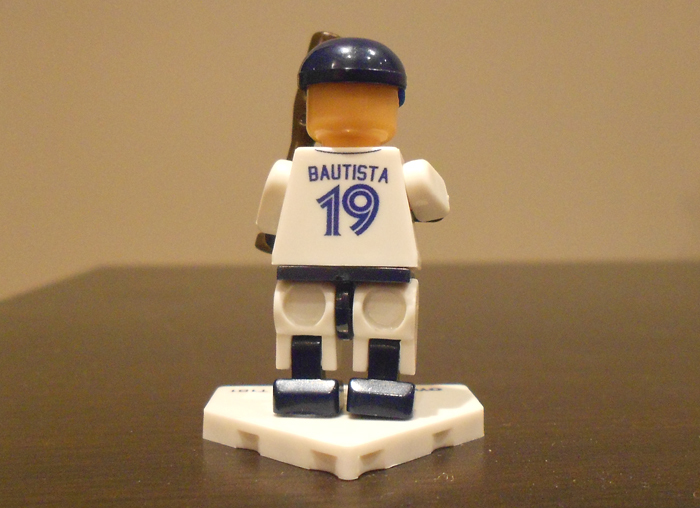 Pictured is the Jose Bautista mini figure, but there are nine Lego versions of your favourite Blue Jays players; from Brett Lawrie and Brandon Morrow, to Yunel Escobar and J.P. Arencibia. When I say mini …. I mean mini. The characters themselves are only one and 5/8 inches tall (or just over 4 centimetres for us metric folks). So now you can recreate all your favourite MLB moments. 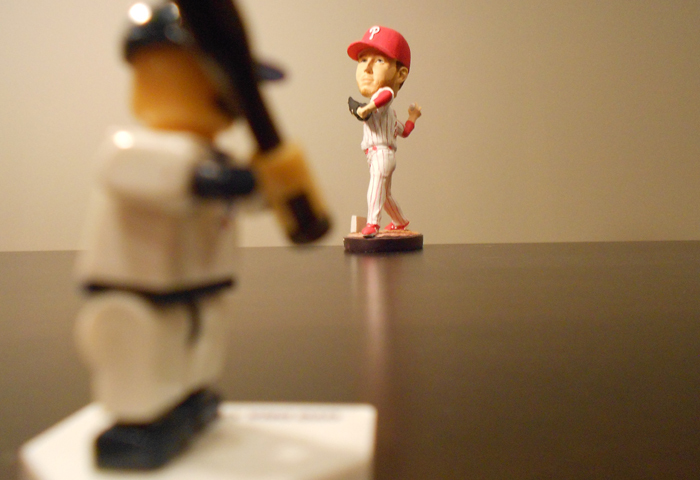 I decided to relive Jose Bautista’s home run of Roy Halladay from Canada Day weekend … 1/40th the scale of the original. 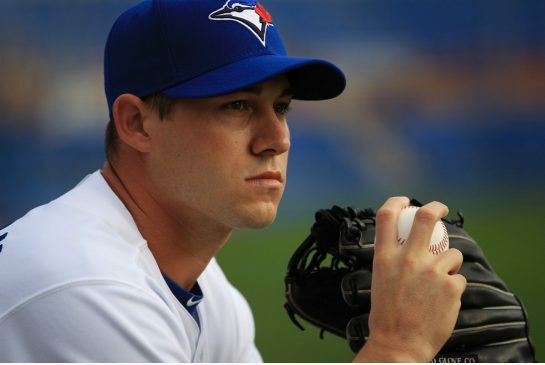 If you get your hands on the David Robertson cut-out, you can even relive the epic Jose Bautista staredown moment, too. Even though he might be smiling in his mini figure, Bautista’s stare is as cold as ever. 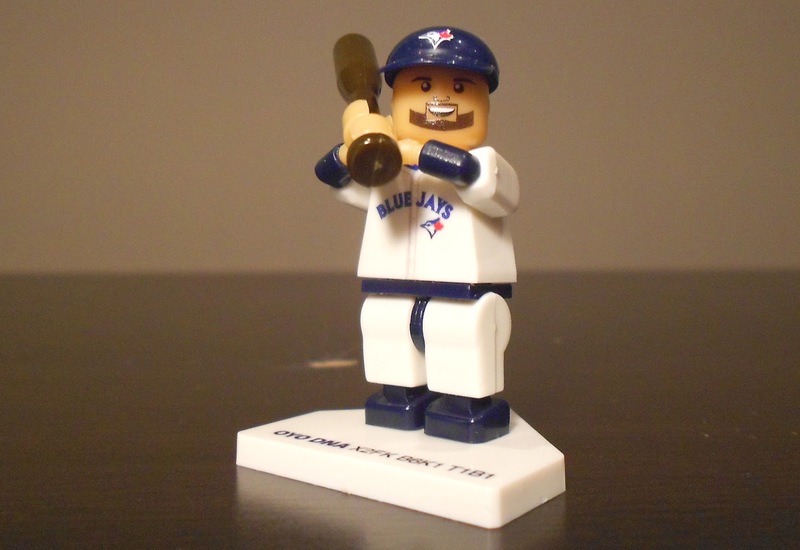 Just a heads up; if you’re in Canada, the OYO Blue Jays mini figures are only available at the Jays Shop at the Rogers Centre and Lids Locker Room Toronto for the time being. They aren’t available for sale on the Jays Shop website quite yet, but you can call them at 1-877-JAYS-SHOP and place an order over the phone and they can ship within Canada. If you’re in the US, the mini figures are available for pre-order and shipping is available. 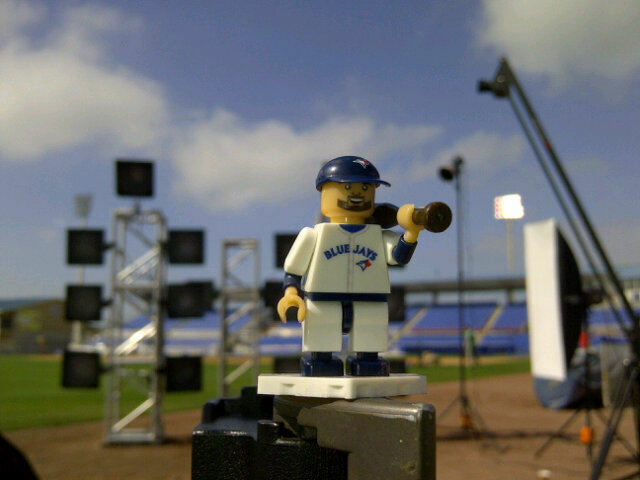 Update: @DanielJoseph11 has this even better photo of Jose Bautista’s mini figure down at Spring Training, just chilling on set.